What is the ultimate goal of Merchandising? How do retailers use Merchandising? What are the benefits of Merchandising? Merchandising, in broad terms, is any practice which contributes to the promotion and sale of products to potential customers. In regards to in-store, merchandising refers to the display of products available for sale, in a way which motivates shoppers to make a purchase. Another form of Merchandising - Visual Merchandising - refers to the layout of products based on an image the retailer creates. This includes displays, decorations, and signs which complement the products available for sale. To make sales, you need to be very familiar with merchandising. Effective merchandising requires that products be displayed in a manner which evokes positive emotions in customers – enticing them to make a purchase. Using best practices in merchandising, you have the opportunity to influence your customers to want to make purchases. Merchandising is a very broad topic. By definition, any practice which contributes to the sale and promotion of products to customers can be considered within the domain of merchandising. Even though the scope of merchandising is broad, the ultimate goal of merchandising is very straight forward: to get products into the hands and baskets of your customers. Convenience goods are products which customers purchase without much thought or planning. Convenience goods are staples such as milk, eggs or bread. Impulse goods are described as such because your customers decide to purchase them unexpectedly. Impulse goods rely on being displayed well at locations such as tills and check out points. Impulse goods include beverages, sweets, or complementary products. Shopping products are products which customers compare based on price, quality and content before making a purchase. Examples of shopping products include high-value items such as cars, appliances and furniture. Speciality goods are products which customers invest considerable time into before making a purchase. Examples include products like lawn equipment, sports gear and any luxury items. Merchandising techniques are the methods you use to arrange and display your products in-store. They are what give form to your strategy. Depending on the objectives of each of your categories; each approach should differ by category. Vertical Merchandising presents items in a vertical display to place products in a customer’s line of sight. Its display allows customers to follow the display of items with their eyes, from top to bottom, in a vertical fashion. 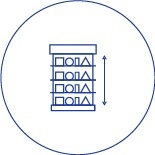 Horizontal merchandising places products in a blocked horizontal manner ensuring that all the goods are directly in the line of sight of the customer. It requires customers to view your products from left to right. 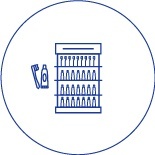 This technique, often referred to as cross-selling, entails merchandising complementary products from separate categories together to provide the shopper with solutions. Colour blocking groups products of similar colours together on shelves. This technique is usually done in a vertical manner and is referred to as colour ribboning from time to time. Have you ever visited a store which outdated or unappealing interior? If so, the store is probably not your favourite place to shop. Your store interior is a part of merchandising because it contribute towards encouraging your shoppers to purchase products. Store fixtures are created to physically hold and display merchandise. 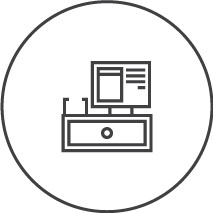 They help keep products organised and within the reach of customers. Store fixtures also create a customer-friendly display. That said, retail displays are also just as important. Flooring may seem as though it is of little importance but it does make a difference. Premium carpets, for example, would suggest high quality and high priced merchandise. Other flooring examples include carpets, concrete, tiles, and wood. Wall fixtures are beneficial tools in merchandising because they efficiently use the perimeter of a store to contribute towards the sales of goods. There are various forms of wall-mounted fixtures such as shelves, digital signs and grid wall systems. You can use your floor space to facilitate and promote sales in a way that best serves your customers. 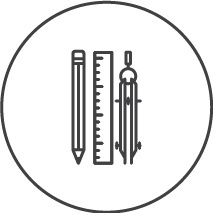 It is critical that every inch of your floor space is used efficiently and that categories are laid out logically. In the same way your store interior has the power to contribute (or take away from) the sale of products, atmospherics can also influence shoppers to purchase products. Examples of atmospherics include lighting, sound, and scent. A customer’s mood has a great impact on their purchasing decisions. When choosing which colour scheme to use for stores, branding and product displays should be taken into account. Attractive colours can set the tone for a satisfying experience. Different contrasts set different moods. For example green and blue evokes calmness and trust. Depending on the fixture, you may rely on primary lighting to provide enough light for your customers to browse products. Lighting is also used to highlight particular displays to attract your customers to a particular product. Music creates a specific atmosphere which adds to the shopping experience of your customers. It connects with their emotions and moods, and can influence their perception of your store’s image. Not only does it add ambience to a store, it attracts specific markets and is useful for hiding disruptive and irritating noises. Emotions are evoked from smell. Have you ever noticed that some stores choose to have their bakery or deli positioned close to the stores entrance? This is done to trigger positive emotions in shoppers when they enter the store. 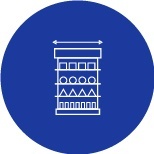 The purpose of store layouts is to maximise efficiency and movement of shoppers through stores. Below are three different approaches to store layouts and each have their own set of advantages and disadvantages. 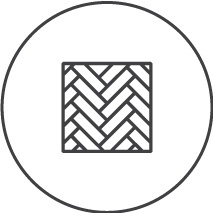 As a side note, there is also a fourth - the Herringbone Layout, which we discuss here. 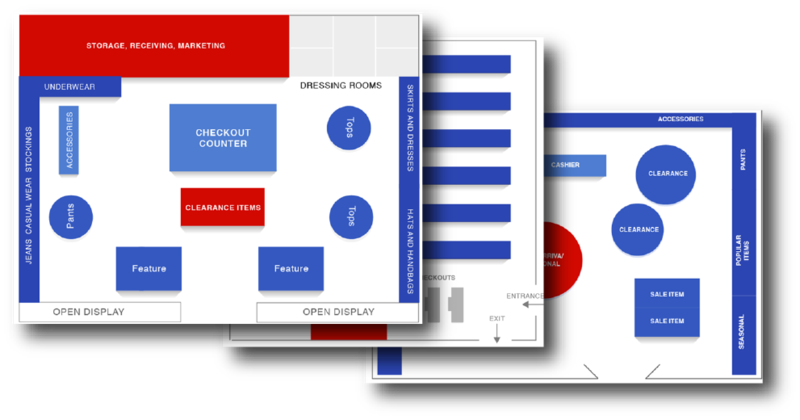 Grid Layouts are store layouts in which a rectangular arrangement of counters and fixtures are placed in long rows or parallel to one another, maximising selling space throughout the store. This is the most efficient use of product display and makes shopping easy for customers. Supermarkets and drug stores are the retailers which use this layout the most. In free-flow layouts, fixtures and merchandise are grouped together into free- flowing patterns. 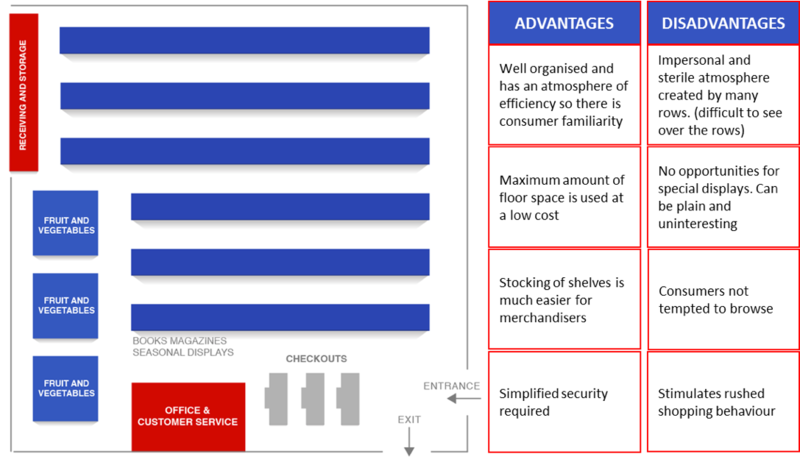 Free-flow layouts work best in stores where customers would like to take their time browsing. Large department stores and specialty stores often implement free-flow layouts. The racetrack/boutique layout is designed to expose customers to the greatest amount of merchandise possible by encouraging customers to browse through aisles and shop across various categories. Customers are guided through specific paths in-store to browse through as many sections or departments as possible. This layout is often used by departmental stores. 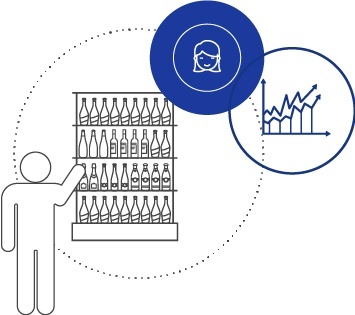 Using merchandising helps drive visitors to your stores. Attractive exterior displays such window displays and signage encourage customers and any passer-by to come into your store. When implemented correctly, merchandising contributes significantly to converting traffic into full baskets. Store layout and visual merchandising work together to create a memorable and consistent in-store brand experience - one which customers can shop quickly and easily. Effective merchandising involves efficient floor planning – the arrangement of aisles, stack displays, gondola fixtures, shelves and the entire layout of the store. Space management includes data-driven shelf planning and considers your financial objectives while providing your customers with shopper friendly product layouts. To stand out, retailers need their outlets to consistently showcase their uniqueness and individuality. One way to do this is to through consistency regarding product layouts. This creates a structured identity and brand which shoppers are able to recognise in several locations. Merchandising takes retail beyond the actual sales to delivering on pleasant shopping experiences. This requires engaging with shoppers at different levels through display and promotion. Merchandising strategies are the result of strategic planning based on financial objectives agreed on by executive management. It consists of various activities which vary by category depending on the objectives of the retailer. When developing merchandising strategies it is best practice to make it a collaborative effort between the retailer and the supplier. Suppliers are true experts in their brands categories and retailers would be amiss not to take full advantage of the supplier’s know-how. Traffic building strategies focus on attracting your customers’ in-store and towards a category. This is a strategy most commonly used for convenience goods. Traffic Building products are usually high loyalty items, displayed at eye-level. 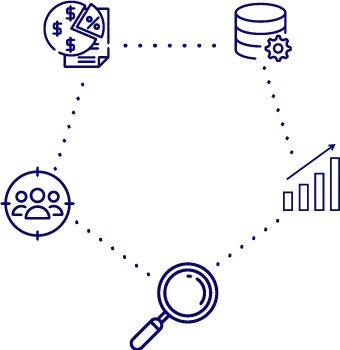 Transaction Building strategies focus on increasing the size of the average category transaction. Encouraging customers to purchase complementary products in addition to their original intended purchase. This strategy also includes encouraging impulse purchases and using promotions to encourage up-trading, for example, 3 for the price of 2. Profit generating strategies are focused on the capacity of a category to generate profits. An example might be grouping high margin complementary merchandise from different categories together. 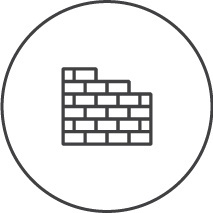 A turf defending strategy focuses on attracting traditional customers and is implemented to maintain and protect market share against known competitors. The strategy also focuses on keeping current customers happy and loyal. Turf Defending strategies generally include aggressive pricing and promotion strategies to maintain existing customers. This strategy uses a sense of urgency to create excitement for products, encouraging customers to make purchases. Excitement Generating strategies focus on impulse purchases such as offering seasonal items, latest arrivals, special items and limited editions on promotion. Image Enhancing strategies communicate a particular image to customers by using quality, variety, price, service, presentation, delivery and brands available. Be aware that these products generate word of mouth but not necessarily profit. 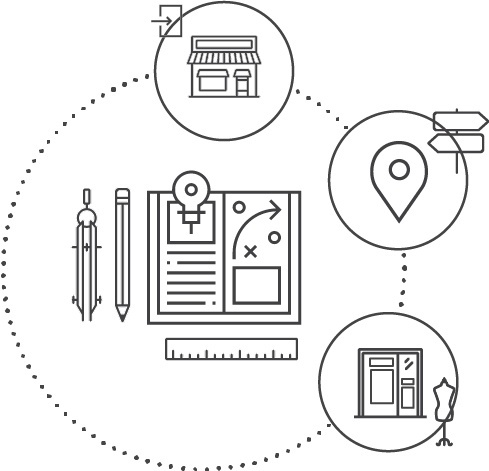 Planograms are data-driven visual representations which provide retailers with direction as to how and where products should be placed on shelves in order to improve sales and profit. They are used to communicate an approved merchandising strategy for particular categories. Planograms are generated based on the historical stock performance of certain products within a category. This increases sales and profitability by ensuring the efficiency of shelf displays. Planograms also help merchandisers place the right selection of products at the right place and time.